A week ago I was nominated by friend and filmmaker Guy Van Gruening to take part in the five day Black and White Challenge. Not an ice-bucket in sight, this was (to my knowledge) just about putting five pretty pictures onto Facebook. Puerile, possibly; but actually quite an interesting process as I had never looked at what made a quality black and white shot before. It turned out to be quite different from what I’d expected and was a good trip down memory lane along the way. 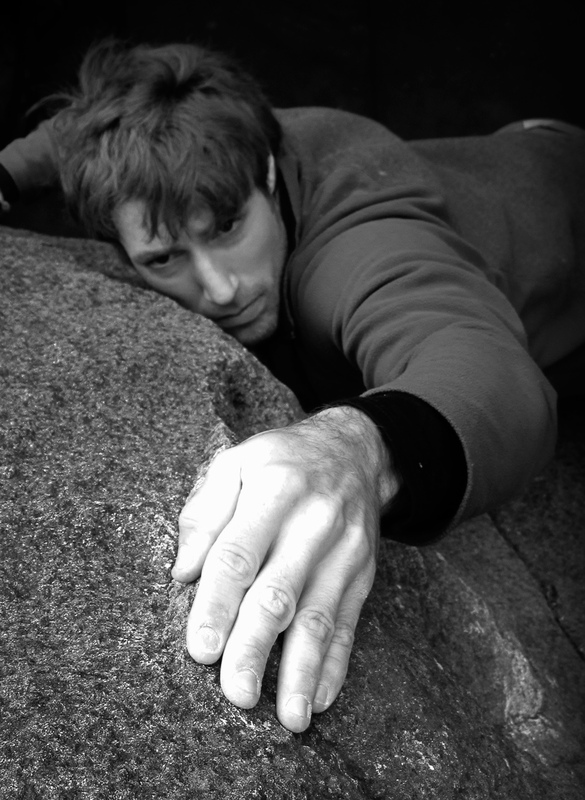 In 2009 Alex Haslehurst and I went to Yosemite Valley with the objective of climbing a big wall. 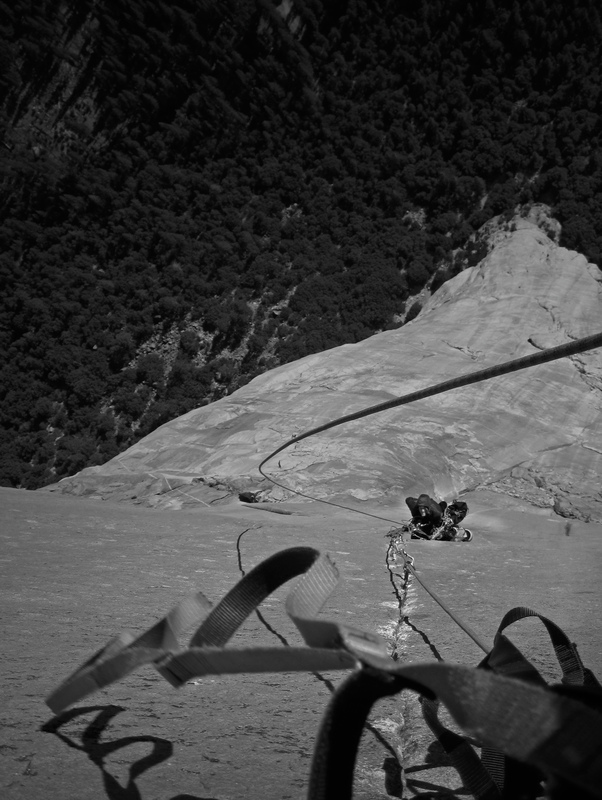 With ideas well above our station we ended up on The Shield, arguably the classic aid climb on El Cap. This photo was taken looking down the final of the three crux pitches, a stunning 60m long hairline crack – beaks, cam hooks and HB Offsets galore! There are, fortunately for us mere mortals, not many people in this world like Nick Bullock. 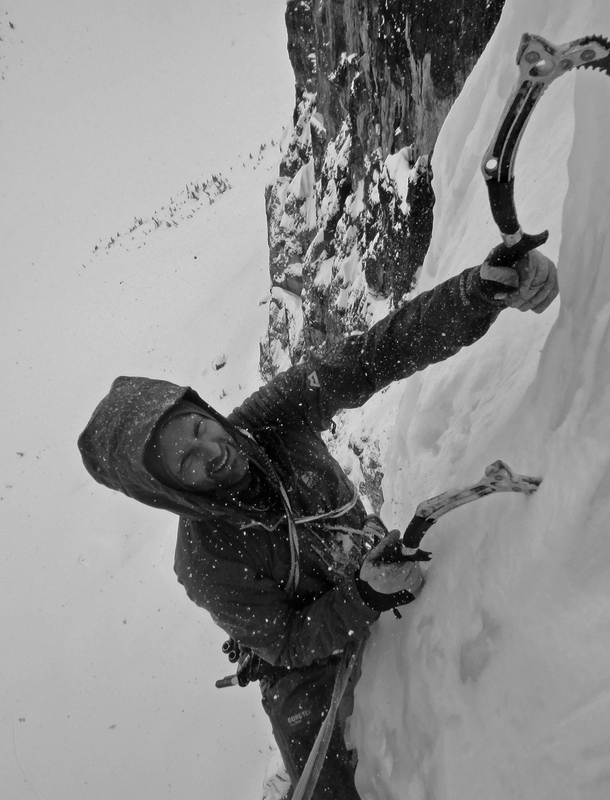 Our 2012 trip to Canada was a whirlwind tour of the areas hard routes, this shot being taken on one of our ‘rest’ days when we climbed the classic WI6 on the Stanley Headwall – Nemesis. After a summer of long days, it’s nice to get back to basics on the small brown rocks, early nights, soup and red wine. 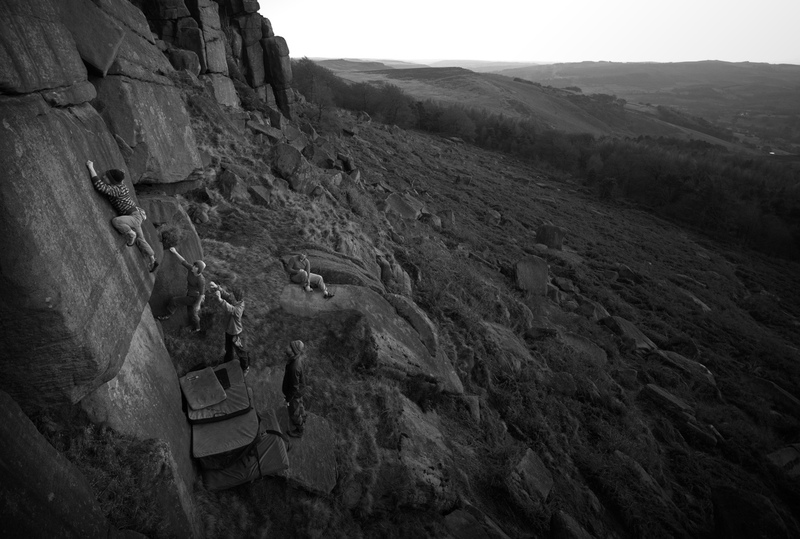 Here Duncan Campbell climbs Satin (F7a) at Stanage Plantation during a particularly atmospheric dusk. Neil Dickson on the harrow-fest that is Honeydew (E5 5c) at Craig Doris on the Lleyn Peninsula. Known for it’s loose rock, this route throws in a complete lack of protection to add to the mix/risk/excitement/allure. I’d always liked this shot in colour, but the black and white really bring out the texture of the pebbles at the base of the cliff. 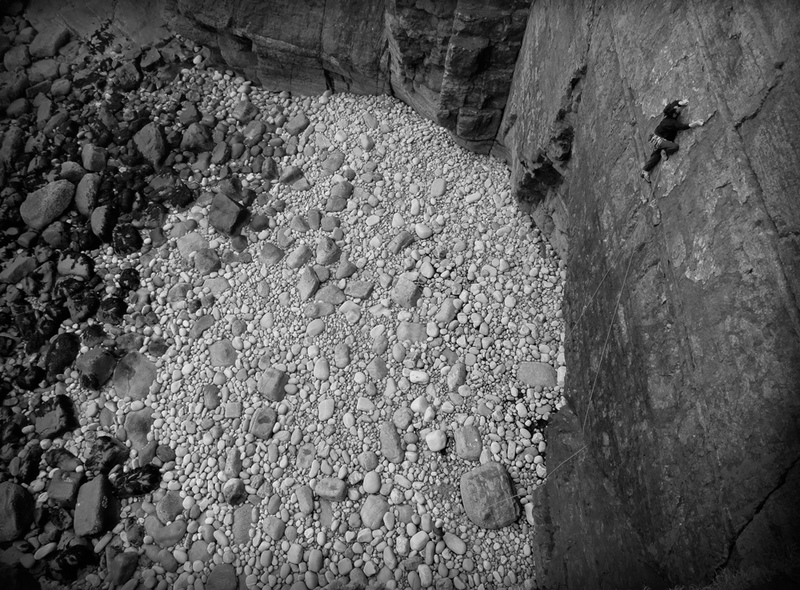 A very young looking Alex Haslehurst on The Higginson Scar (F6c) at Porth Ysgo. The gabbro boulders that lines this section of coastline are arguably the best blocs in North Wales, the venue itself is stunning too which only adds to the venues appeal.